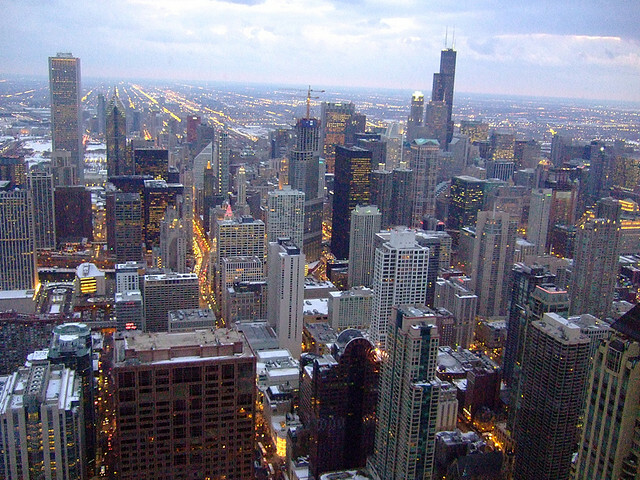 A new report on Chicago by the city's non-profit economic development agency found that focusing on transportation is an important element of keeping the city competitive. Photo by Colin Harris. Welcome to “Research Recap,” our series highlighting recent reports, studies and other findings in sustainable transportation policy and practice, in case you missed it. Last week, Zipcar unveiled its Future Metropolis Index, which measures and ranks U.S. cities based on sustainability, innovation, vibrancy, efficiency and livability. The study looked at public data from 36 U.S. cities—selected based on population size—and evaluated the availability of wireless internet, the number of miles of bike lanes; the percentage of hybrid cars; access to parks, arts-related jobs and arts-related businesses; the number of workers using public transportation; the unemployment rate, violent and property crime data. With all of the factors considered, San Francisco received the number one spot, proving to be the most sustainable, innovative, vibrant, efficient and optimistic city in the United States. Mayor Rahm Emanuel announced the release of a new study by World Business Chicago, the city’s nonprofit economic development agency. The report assesses the area’s weaknesses and provides 10 strategic goals to revitalize the city. Among the strategic goals, WBC recommends finding new funding models for infrastructure and transportation projects, becoming a more competitive transportation and logistics hub, and creating demand-driven job training by focusing on transportation-related employment. According to a study by researchers at the Renaissance Computing Institute (RENCI) at UNC Charlotte, developed land in the 16-county Greater Triangle and Rocky Mount region will increase by 150 percent by 2040. Given the region’s rapid growth and land development, many have wondered what challenges it will face over the next 30 years in accommodating growth and maintaining natural amenities. To address these urbanization issues, researchers at UNC Charlotte’s Center for Applied Geographic Information Science have developed the FUTure Urban-Regional Environment Simulation (FUTURES) model. The FUTURES model simulates regional landscape patterns and enables exploration and visualization of alternative development outcomes. Satellite image analysis of impervious surfaces reveals how the landscape has changed from 1976 through 2005.